On Sunday, June 22, 2014, Dory Wagner, a member of the Rhode Island Historical Cemetery Commission, and the Richmond Historical Society, led a clean up of newly discovered Richmond Cemetery #87. This is located in the Carolina Management Area. Other than a couple of visible headstones, there was little to bring anyone’s attention to the fact this is a burial ground. After brush and leaves were cleared, over 25 head and foot stones were discovered. 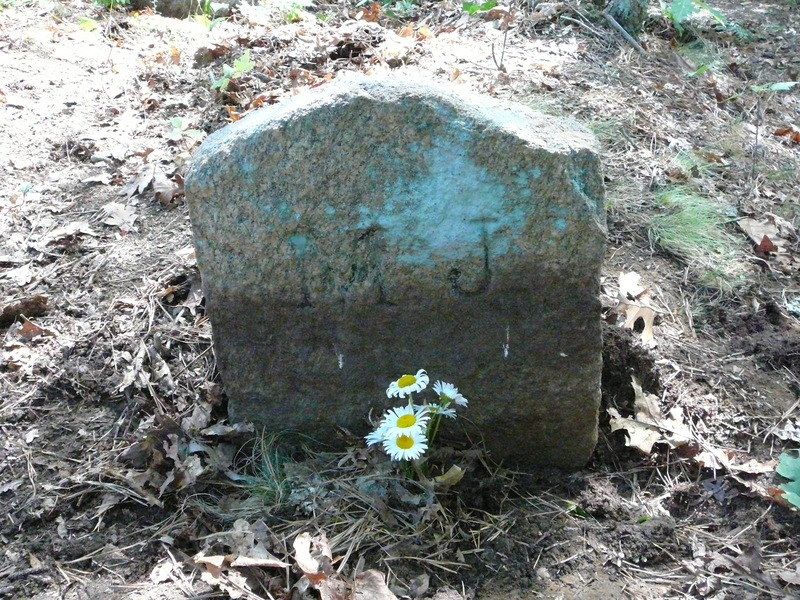 Only two stones bore carvings: the initials E. J. and M. J. Who were these people and who else is buried with them? Recently we had a post suggesting Emeline Jenkes and Maribeth Jenkes. This has not been confirmed. Can you help???? ?